Interested in the global market? 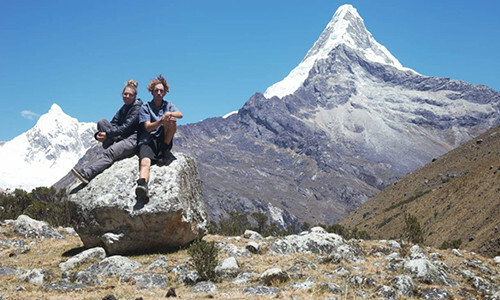 This Southern Utah University sponsored internship provides an opportunity for students—single or married couples—to live, work, experience, and study abroad in Lima, Perú. Interns will work under the supervision of a full-time SUU employee and will be provided tangible international work experience that will allow them to be immersed in a foreign culture while promoting Southern Utah University in an international business climate. The objective is to meet with local businesses and institutions in order to develop relationships and to provide educational opportunities for their organization. Lima is the capital of Perú. The metropolitan population is about 10 million. It is the cultural and economic center of Perú. There is never a lack of places to explore, people to meet, or food to eat. The city either contains or is in proximity to several UNESCO World Heritage Sites (e.g., Machu Picchu). The climate is described as a tropical desert, and temperatures generally fall between 57 F and 84 F.
Spanish is the primary language of Perú, but many locals also speak English.